Hope you’ve enjoyed this week’s blog series! No long post from me here today… because it’s Saturday & the weekend is a perfect time to practice being a great friend. Start at home with your family & widen your circle. 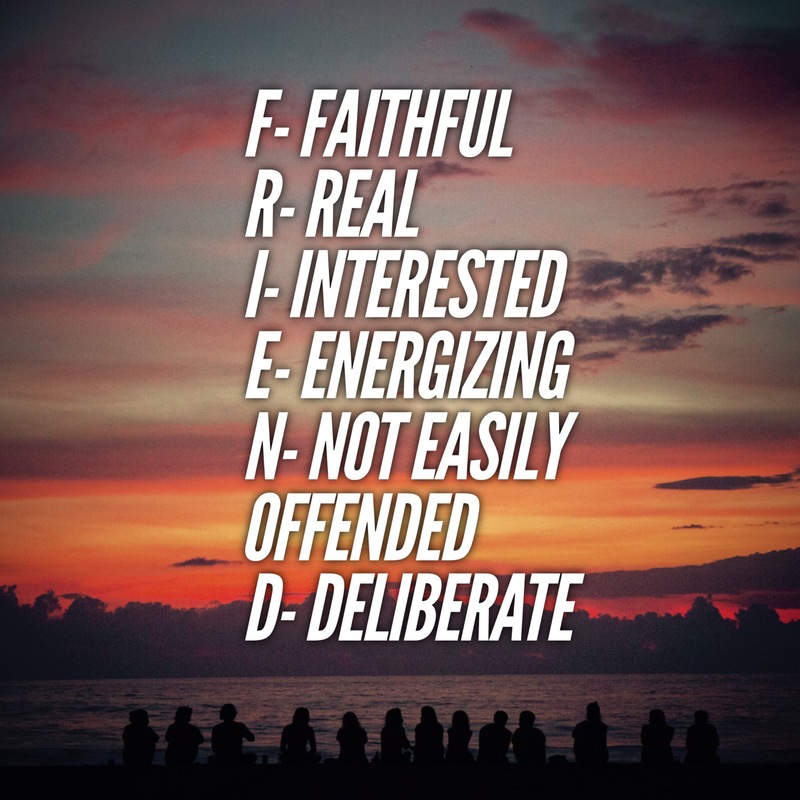 In the end, being a great friend comes down to being… DELIBERATE! It’s a choice we make. I will never be a great friend unless I deliberately choose to attempt to be a great friend. And if I fail at some point, I have to be deliberate about trying again. In other words, let’s be great friends! Have a terrific weekend & let’s reconnect here Monday!! !